The rumor mill is a-buzzin on the ol interweb today with a new bundle for the Xbox that maybe available as soon as next week. 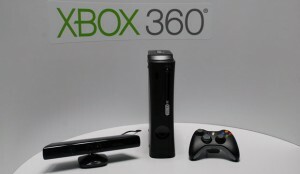 The bundle will include the 4gig Xbox 360 plus the kinects for a mere $99! BUT, there’s a catch you have to agree to a Monthly subscription to Xbox live Gold at about 15 buck a month! There may also be extra streaming content available as well as a 2 year warranty. Cause you know Xbox’s’ like to brick on a regular basis! If you’re thinking “well I’ll get the bundle then drop the subscription after a few months!” think again in an effort to keep you up to date and fully paid there is an early termination fee that you will have to pay to drop the service. Is it me or does this sound like oh I don’t know ah a cell phone contract! Excellent post, very informative. I ponder why the other specialists of this sector do not understand this. You should proceed your writing. I am confident, you’ve a huge readers’ base already!|What’s Going down i’m new to this, I stumbled upon this I have discovered It positively useful and it has aided me out loads. I hope to give a contribution & help different users like its helped me. Great job. you are right Cabbie some of the other details to this possible deal says that microsoft is doing it to battle Apple TV, ROKU, and the PS3 and to help premiere their new music service that they will unveil at the E3 keynote! It does sound like a cell phone contract but with the way streaming services are heading, I could see Roku and others following suit. The advantage to this though is you get a capable console as well as a streaming device. Microsoft always said they wanted to make the 360 a media hub for the living room, this is just another option for them to do this. I would like to see the numbers of consoles sold in this business model after 3 months of it being on the market.